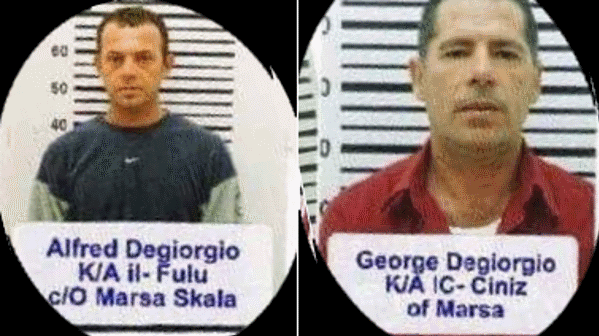 Two of the three men accused of the murder of Daphne Caruana Galizia were back in court on Wednesday, accused of money laundering. Brothers George and Alfred Degiorgio and George Degiorgio’s partner Anca Adelina Pop were arraigned before Magistrate Yana Micallef Stafrace, where they pleaded not guilty. Both men claimed to be unemployed, yet lived a lavish lifestyle, owning cars and pleasure boats, police said. The investigation into the murder involved scrutiny of their banking transactions and the money they had, leading to suspicions of money laundering. Lawyer David Gatt appeared for Adelina Pop while lawyer William Cuschieri appeared for the Degiorgio brothers. Dr Gatt requested a ban on the publication of the woman’s name, arguing that she is the mother of Degiorgio’s two children and has two other children in her care. Publication of the name would have a detrimental effect on the children. Inspector Antonovitch Muscat argued that the request had no basis at law. The father’s name was already public, he added. The court denied the request. The court ordered the seizure of all funds and property of the accused. No request for bail was made by the Degiorgio brothers, due to the murder proceedings, but Dr Gatt made a request for bail on behalf of the woman. The court, in view of the nature of the crime and the fact that there were civilian witnesses yet to testify, denied bail. The magistrate ordered the police to produce their witnesses as soon as possible.